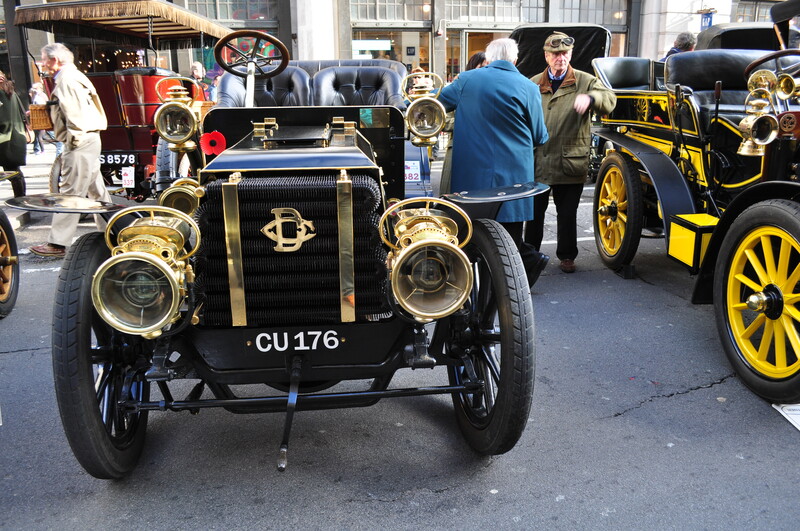 In addition to the main event (the veteran cars) there is usually a display of more modern motors. 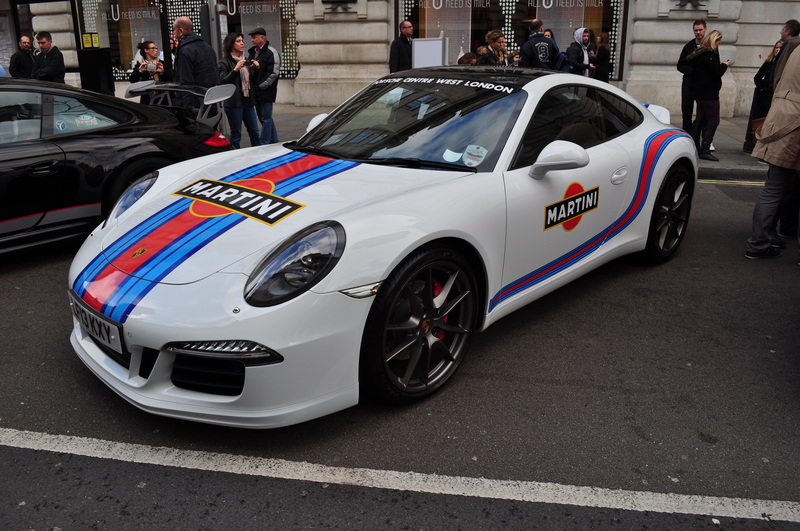 This year the 100th Anniversary of Aston martin and the 50th Anniversary of the Porsche 911 should have resulted in a special display of cars representing the different marques over 100 and 50 years respectively. Aston had a reasonable stab at it but Porsche were a dismal failure! 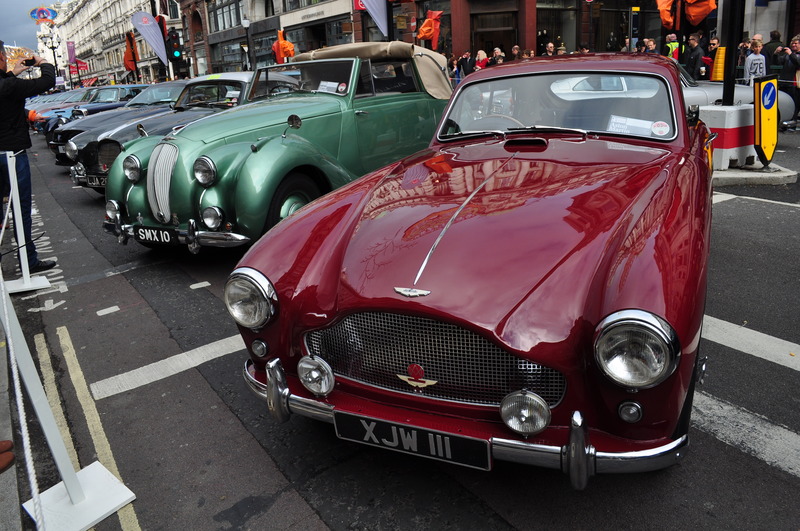 Healey Silverstone. 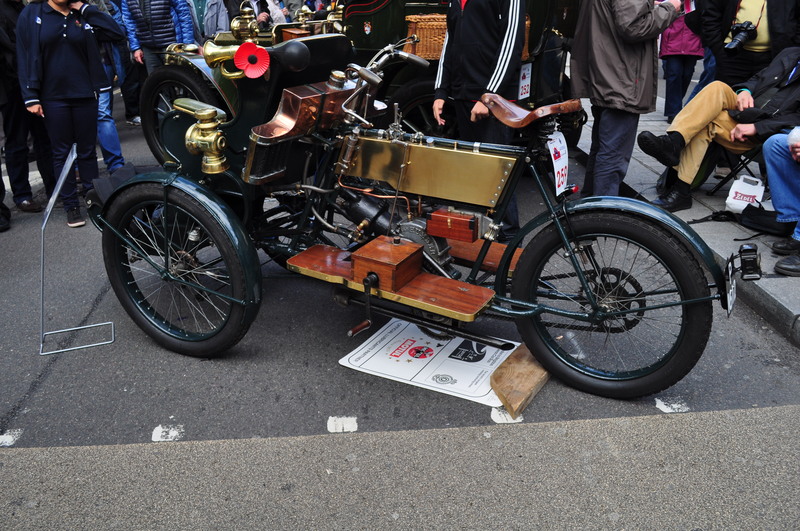 Note the Electron front suspension. There was a tiny display promoting the Silverstone Historic Festival which was nice as a) it is a good historic car event and b) they’d gone to the bother of finding a Healey Silverstone to display. Spare tyre doubling-up as rear bumper! 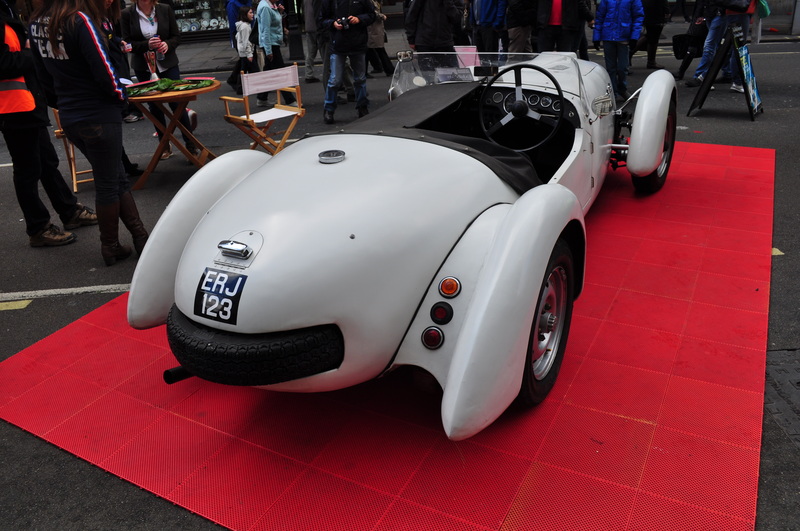 The Healey Silverstone is a typical 50s “drive to the track & race” special designed by Donald Healey using a Riley or Alvis engine and a handsome front cycle winged basic body/chassis unit. 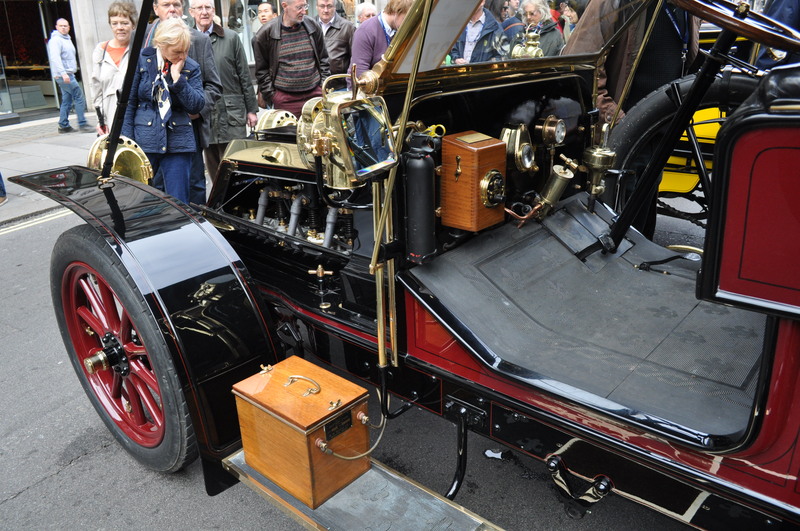 Two particularly interesting features of the car were the incredibly expensive and exotic front suspension formed from cast Electron and the rear mounted spare doubling-up as a rear bumper by protruding out of the back of the car. As an early 911 owner I was really disappointed with the 911 display which seemed to consist entirely of a small number of modern and completely new cars from a Park Lane Porsche dealership. 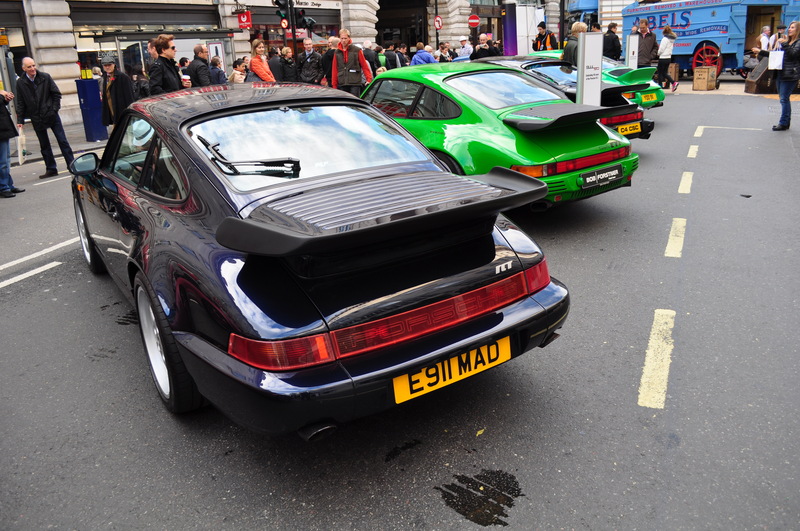 I simply cannot understand why not a single early 911 was on display. OK – so there were a couple of Ruf modified cars and a car backdated into a 2.7 RS Carrera lookalike but where were the 1960s and early 70s cars? Porsche Club GB or a number of UK early 911 specialists could have provided any number of excellent early cars to show the purity and simplicity of the original Alexander (Butzi) Porsche design and the way that 911s have sadly evolved into fat-flanked, water-cooled modern monstrosities. Medication increased – rant over! 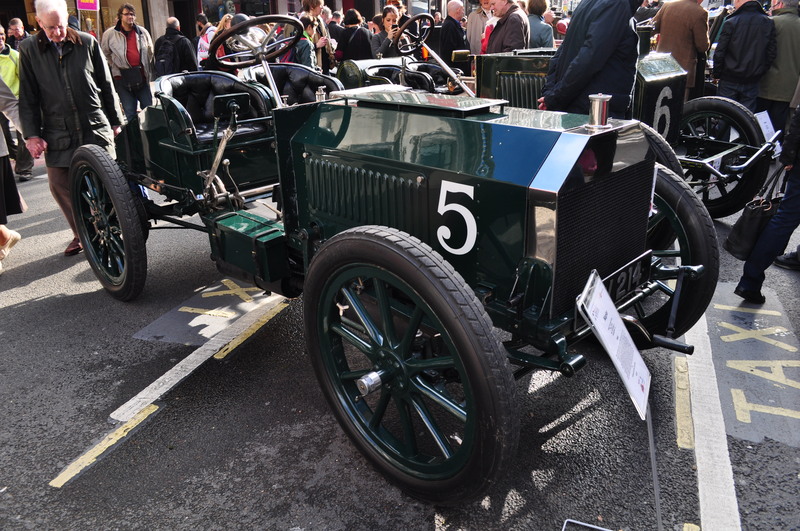 In stark contrast there were new and old models in abundance to represent the 100 years of Aston Martin. 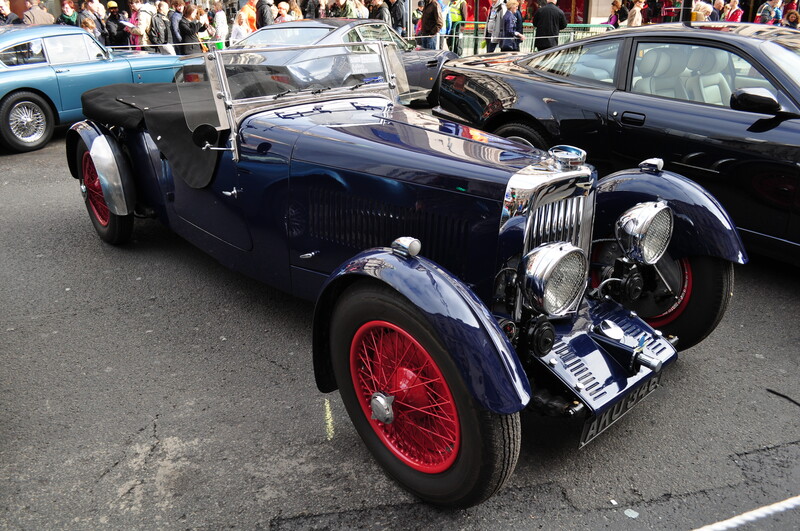 A large number of them were quite modern but they did have a lot of DB2s, 4s, 5s and 6s, some 70’s William Townes designed V8s and even one pre-war car. This was a much bigger and seemingly more representative display. 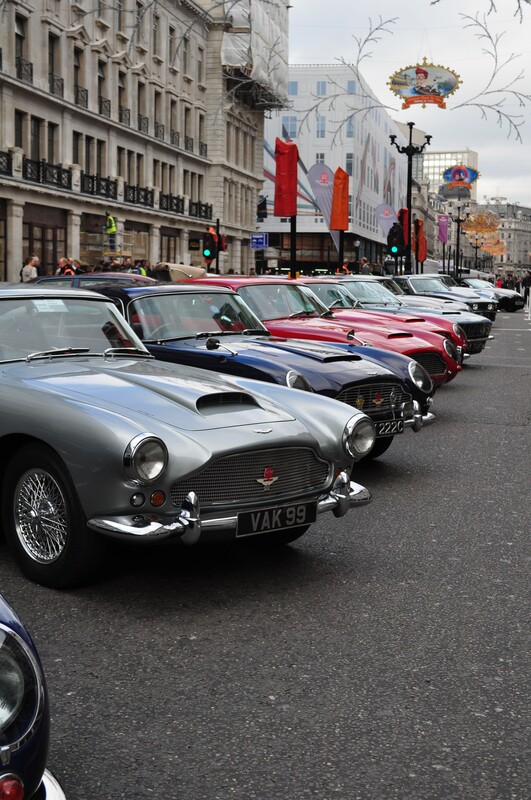 DB4s are soooooo elegant. 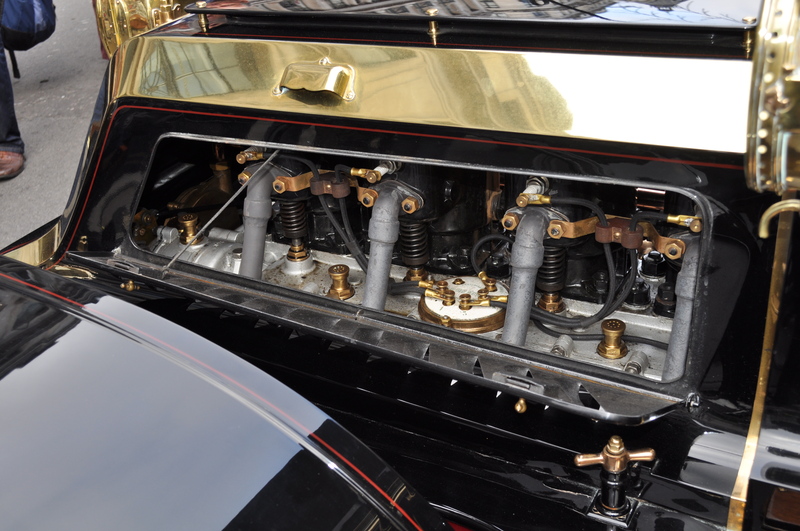 Lovely superleggera bodywork by Carrozzeria Touring of Milan & thumping great Tadek Marek engine! 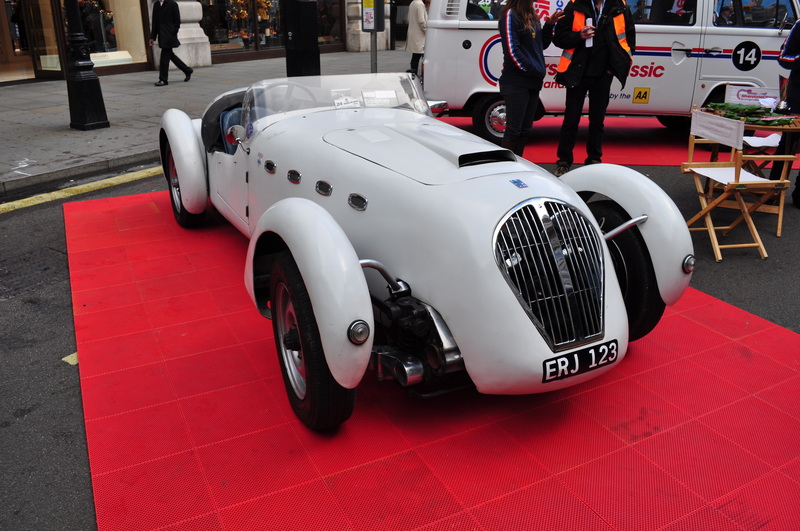 Astion Martin Lagonda. Thunderbirds are Go! William Townes V8s. Not to my taste. 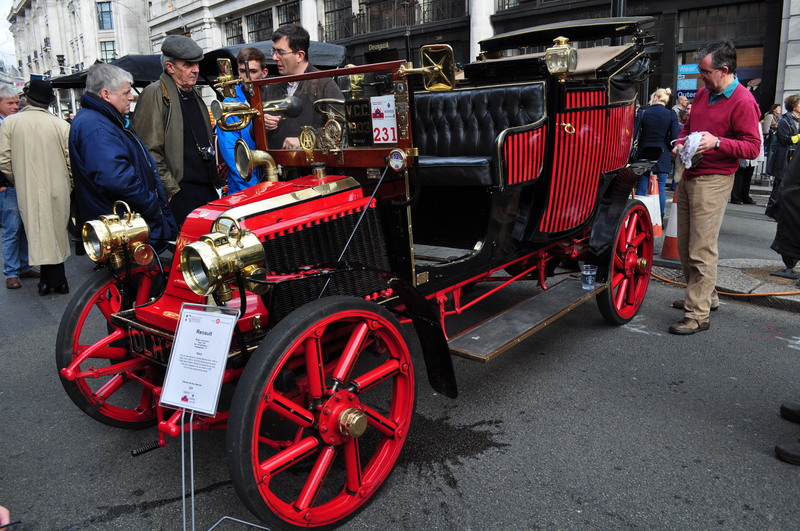 I did start to think there was a bit of a jingoistic British slant on the whole event but the veteran cars are a truly international bunch so that can’t be true. Funny how taste changes with age. 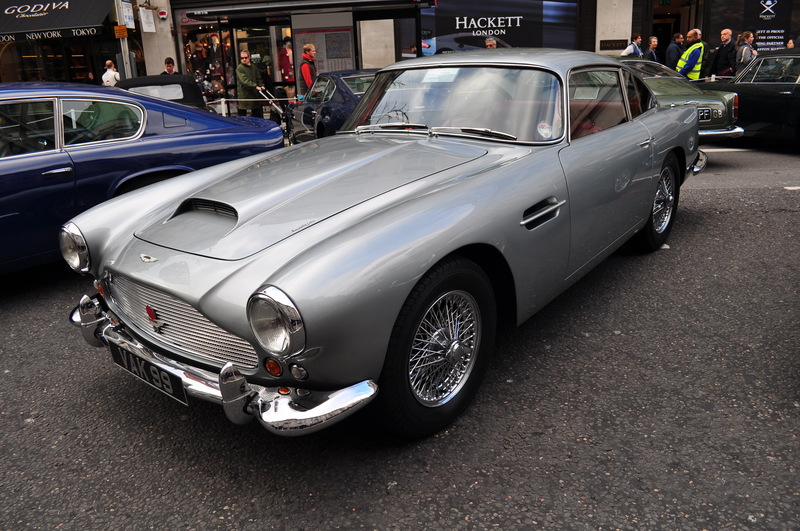 I used to love DB6s but then preferred DB5s and now much prefer DB4s with their non-slopey headlights. 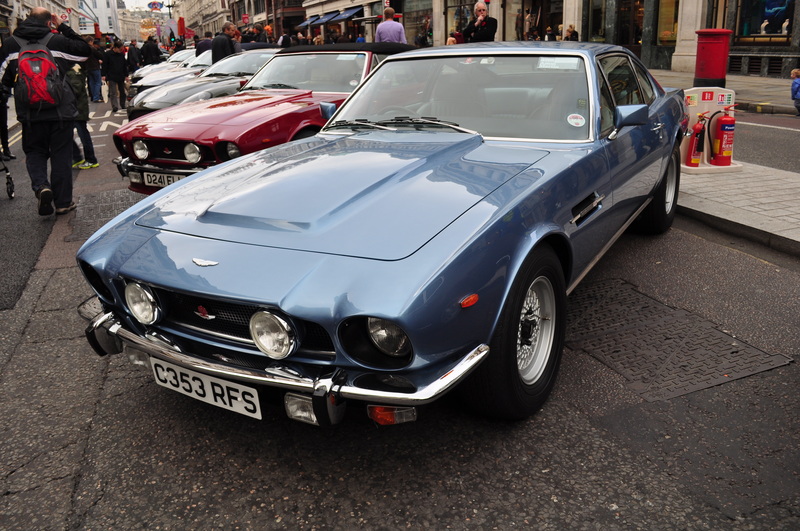 My ultimate favourite Aston has to be the DB4GT Zagato but sadly I don’t have several million quid to indulge myself. Me and my mate Gordon did see one race at Silverstone many years ago just after it had been bought for £4.5 million. It crashed! 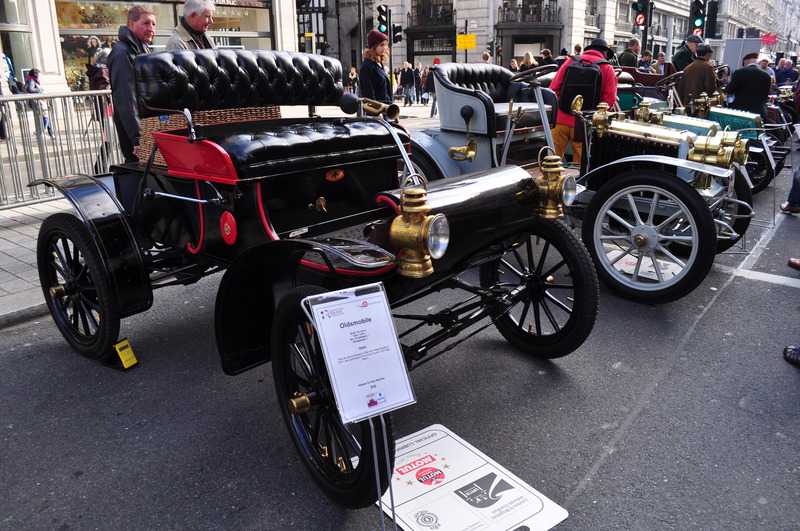 There were also some modern Renault and BMW cars on display on Regent St. that I completely ignored. Sorry. 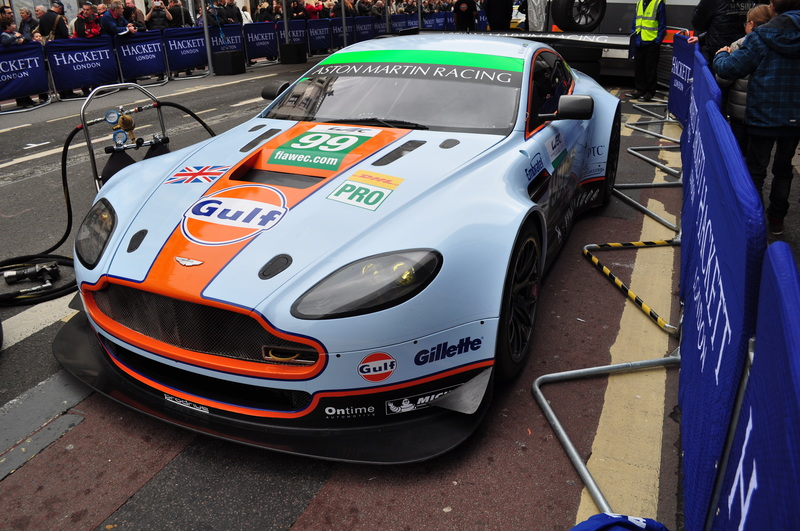 Aston Martin Racing (bless them) turned up with a couple of racing GT cars and the Drayson Le Mans car. The GT cars were unceremoniously fired up at hourly intervals to burst eardrums and raise the hairs on the back of people’s necks which was nice during what is normally a quiet and sedate affair. 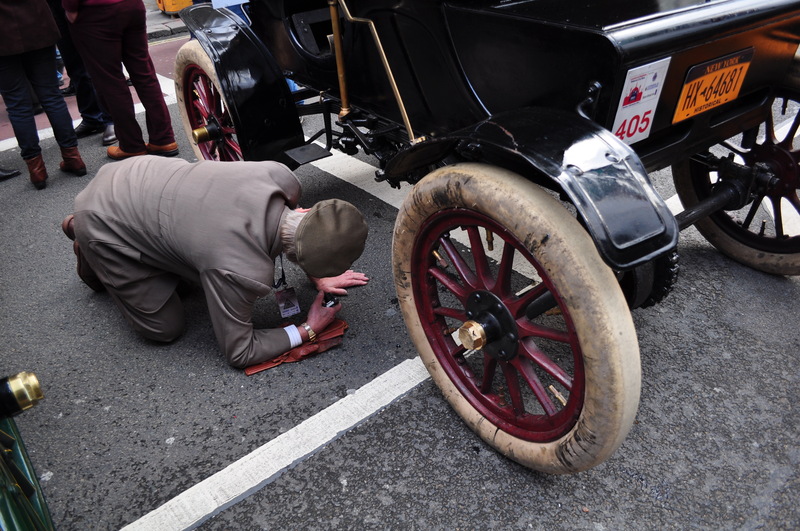 There really is nothing like the raucous, visceral sound of a racing engine being revved hard and the tourists and hapless passers-by on Regent St. should be grateful for the opportunity to experience it in the middle of a what would have been a bland day of inane wallet-emptying shopping. 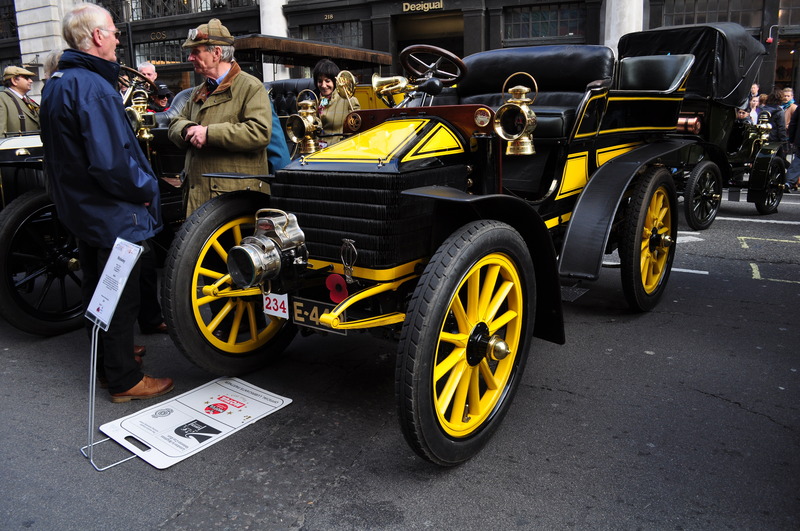 Whilst it inevitably tends to be the same cars year on year – they never fail to delight. 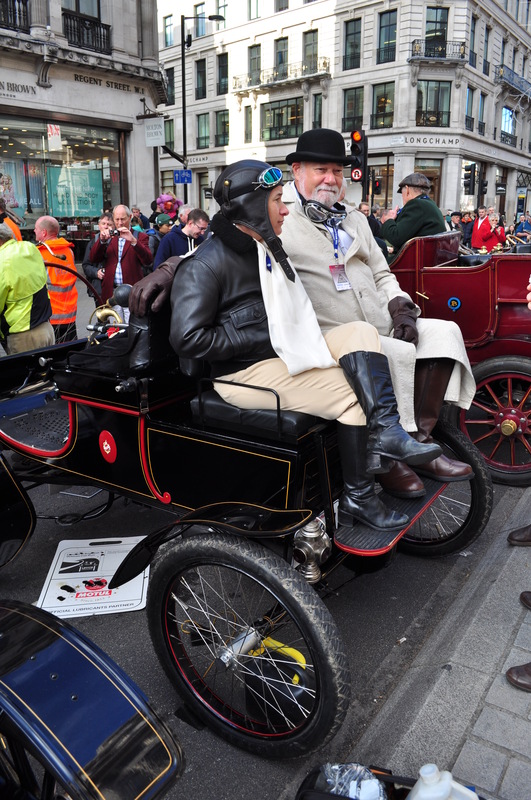 The one thing that does seem to improve is the efforts of the owners/drivers to don something like period costume although some of the tweed suited men look more like modern well heeled country gents than Edwardian begoggled motoring adventurers. Genevieve – the wonderful Darraq star of the 1953 film by the same name starring John Gregson, Dinah Sheridan, Kenneth More & Kay Kendall turns up regular as clockwork. 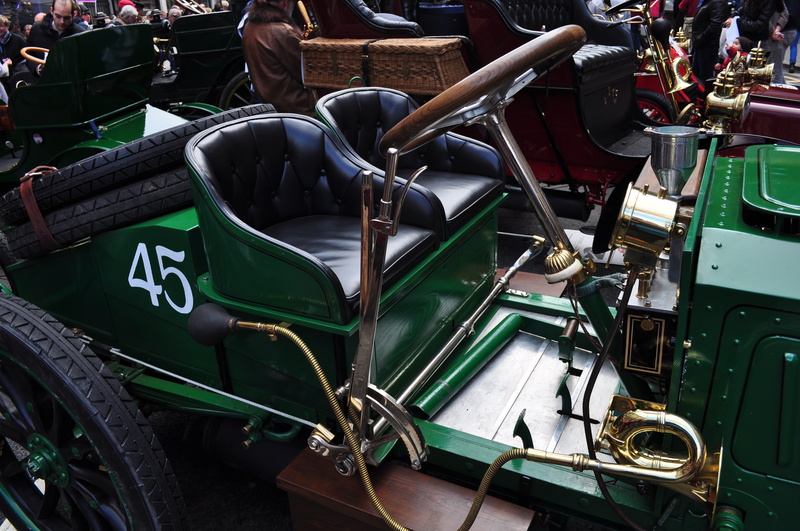 The other main car protagonist in the film is a 1904 Spyker. 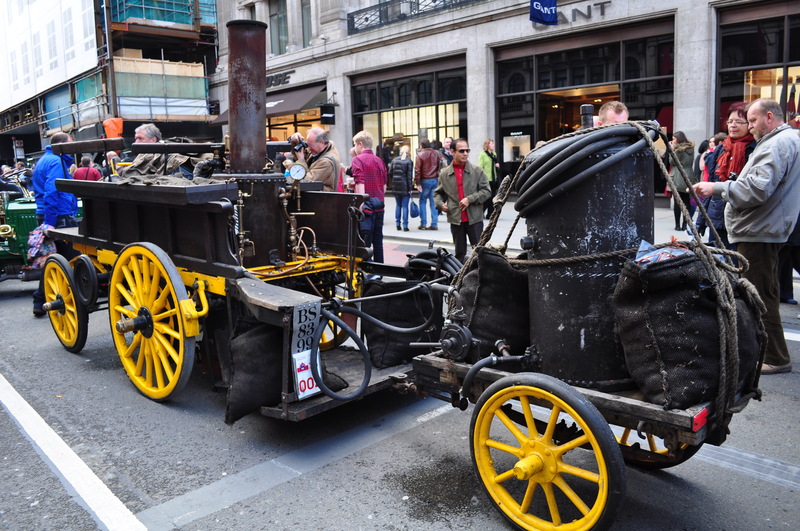 Also present and correct was one of my favourites – the 1896 (or thereabouts) Salvesen Steam Car along with it’s trailer piled high with coal for the journey. How this mobile stove makes it all the way from London to Brighton is beyond me. Hats-off to the stokers. At least they can have a fried breakfast and gallons of tea on the way! Come to think of it they could probably do a full Sunday roast dinner in that stove. 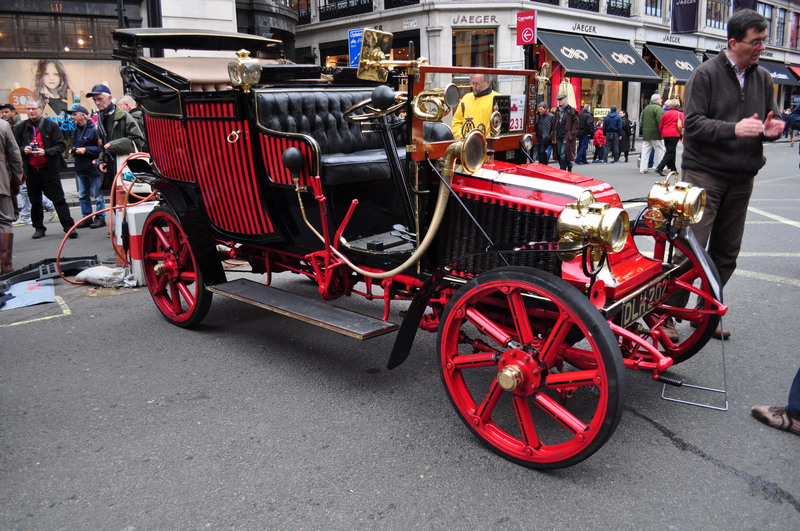 Tucked away on a side street was this wonderful 1900 2 cylinder, 6hp Daimler. It was just beautiful in black. 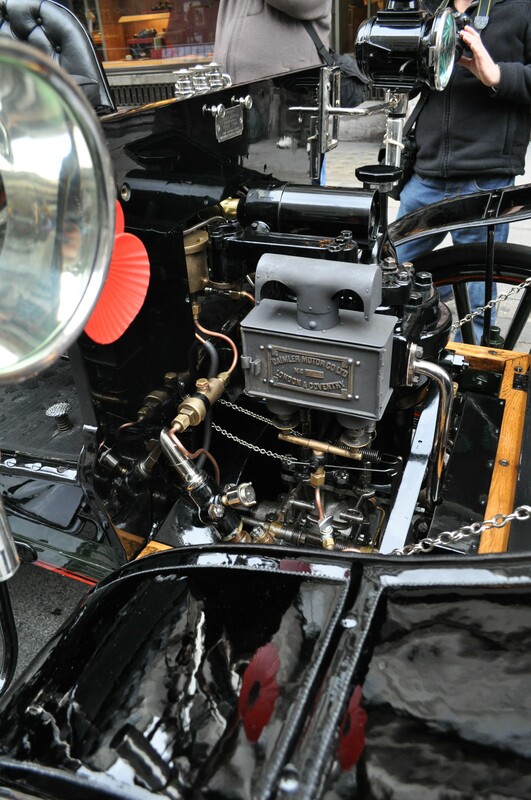 When the owner raised the bonnet – the engine was just immaculate. “Can I borrow your beard old chap”? Veteran brolly basket. Almost as cool as the airplane samurai sword holsters in Kill Bill! 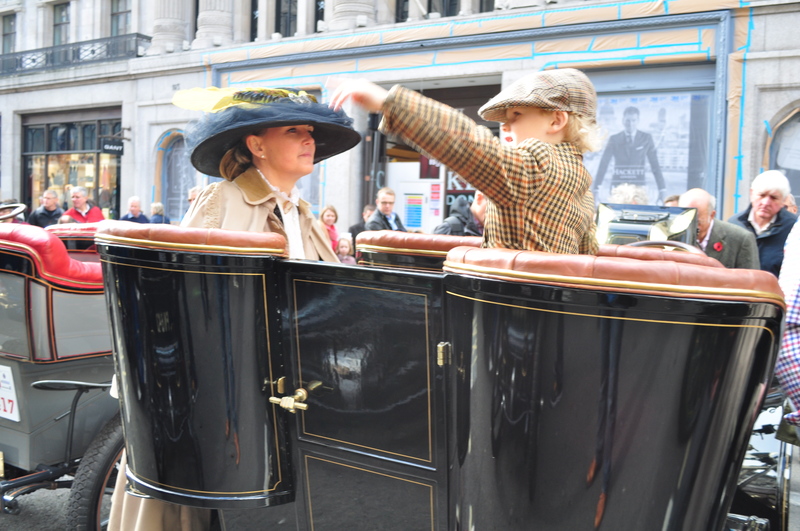 Pimp my Edwardian ride. Candy stripe paint, larey lights, serpentine horn, snazzy wheels and low profile (solid rubber) tyres! “I was that close to painting it beige”! 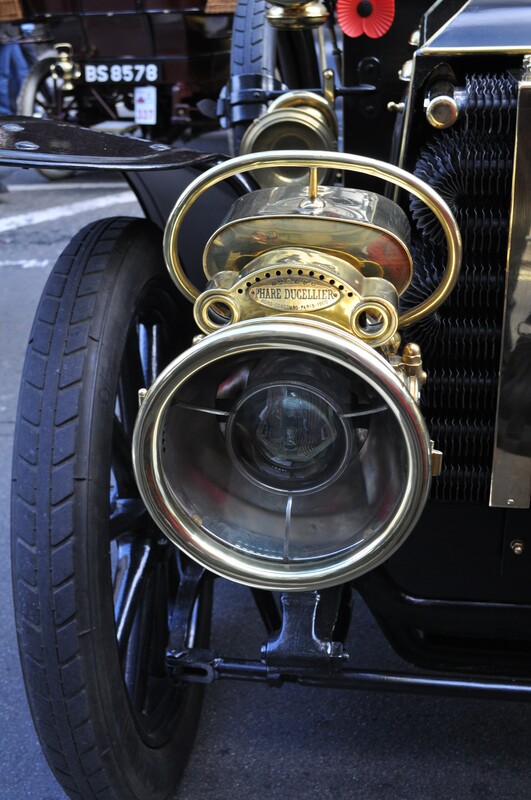 Racing Napier. Comfy race seats for driver and riding mechanic. State of the art Napier racing cockpit. No poncey flappy paddles here! Just big manly levers, valve thingys and a light switch??? 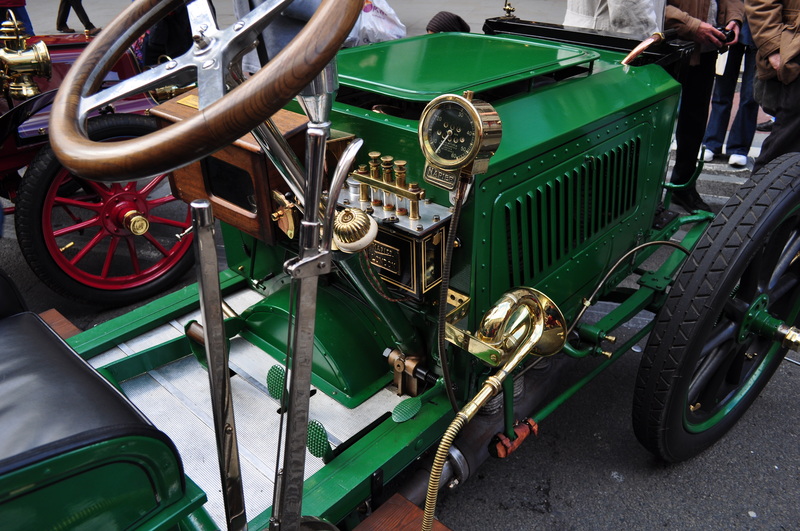 Another racing Napier. 4 cylinder, 100hp!!! 194 Delaugere et Clayette. 6.3 Litre,4 cylinder, 24hp. 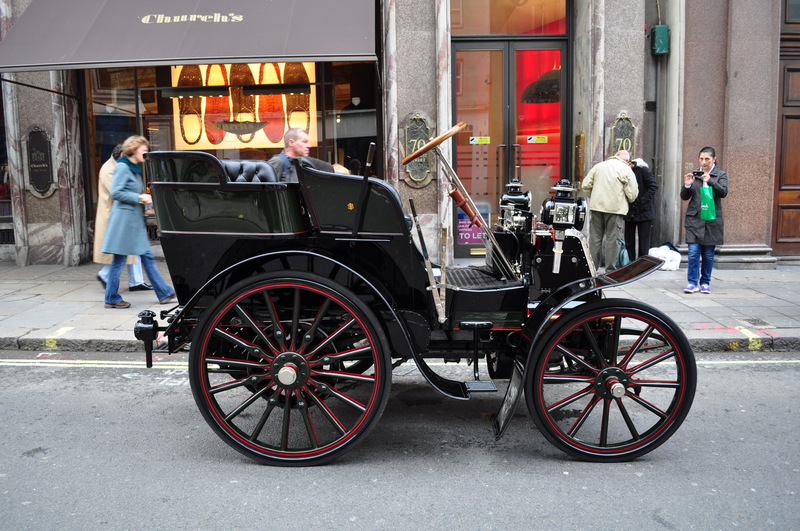 1903 Wolsley. 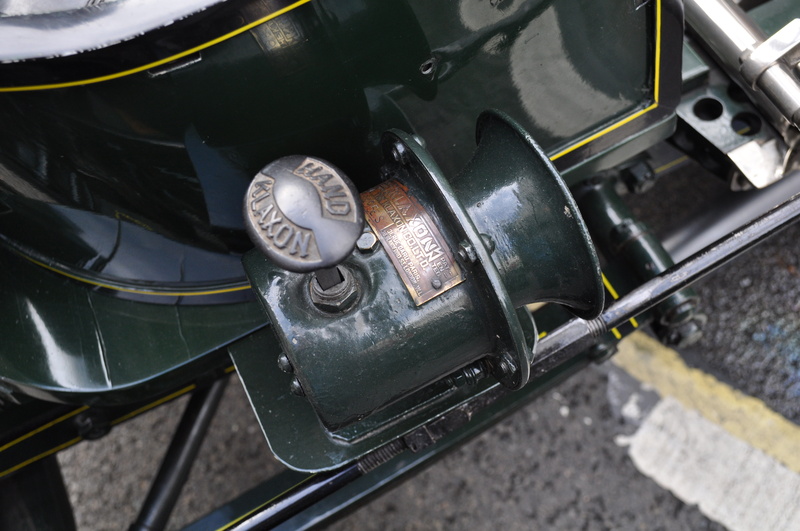 2 cylinder, 10hp. “No Mama – I think you’ll find that’s the way to Amarillo”! 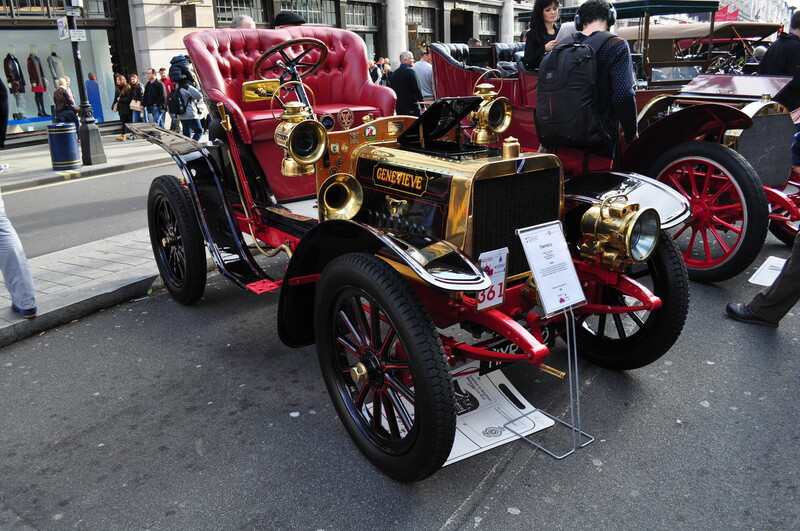 Oldsmobile with a fringe on top…..and driver. “No I said Humber – not Hummer”! They don’t know if they’re coming or going! 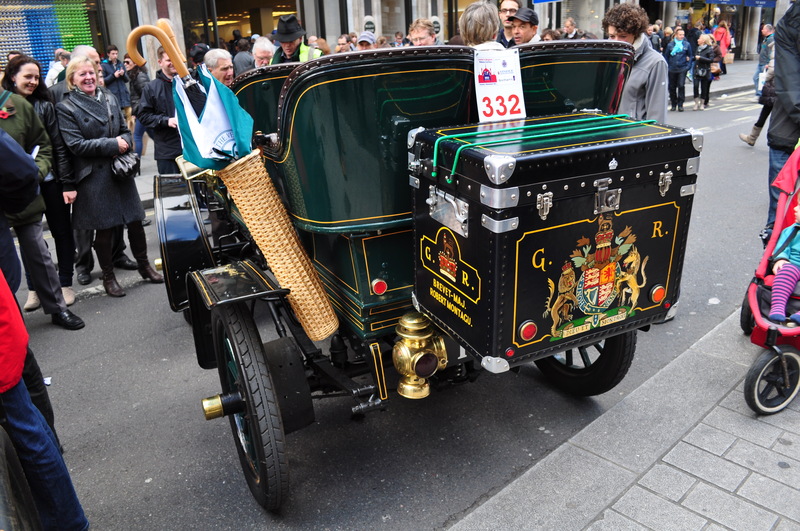 Are you/did you go to the start of the London to Brighton? Thanks Sudeesh – we’ll go again. 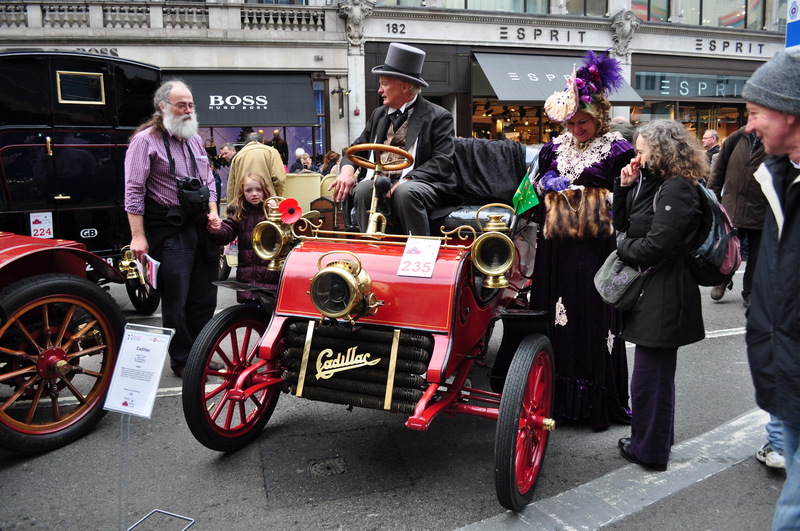 Hi Richard, Thanks very much for your corrections to my Regent Street Motorshow 2013 post. 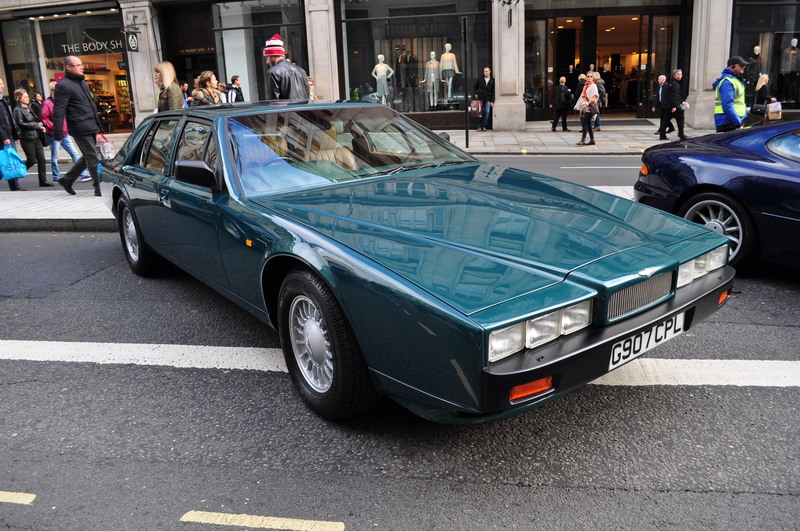 I’ve now corrected the caption on the photo of the Lagonda DHC and your fabulous looking Aston Martin DB MkIII. Much appreciated. 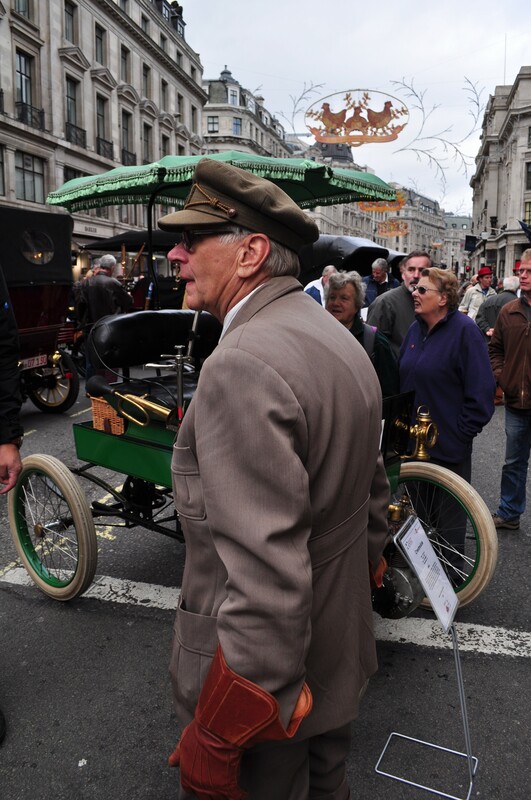 I hope to bump into you at some future motoring event.